Perhaps the last thing any of us are thinking about as we head into our local shopping center, restaurant, or fitness center is that we may be injured because the property owner failed to correct a defect. Unfortunately, these types of accidents result in people being injured every year in Rhode Island. 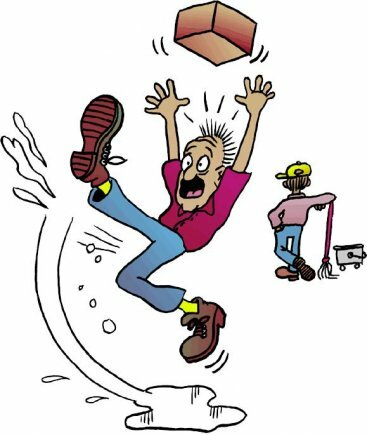 Victims of an injury that could have been prevented if the property owner had exercised proper care may have the right to file a premises liability personal injury lawsuit. Premise liability occurs in Rhode Island when the owner of a property fails to ensure the safety of people who are on the property lawfully suffer an injury. There are factors which impact the ability of a person to file a premises liability lawsuit which are important to understand. On the property legally — someone who is trespassing, breaking and entering, or otherwise illegally on a property is owed no duty of care under Rhode Island law. Therefore, the first thing which must be established is the person who was injured was on the property legally. Not on the sidewalk of the property — when someone is injured because of uneven surfaces or other hazards in a sidewalk on a property in Rhode Island, the abutting property owners cannot be held liable. The city/town is responsible for maintaining the sidewalk. Reasonable care expectation — if you are in the aisle of a grocery store and someone drops a bottle of juice in front of you, resulting in a fall and injuries, the store owner cannot be held liable. Reasonable care means the owner should have known in advance there was an unsafe condition. An example of advanced warning would be if there was frayed carpeting that resulted in a trip and fall accident. Frayed carpeting does not occur suddenly, it develops over time and the owner should have been aware of it. Large apartment complexes, banks of offices, and shopping centers often hire an outside maintenance company to manage their facilities. The more "individual" tenants there are in a small are, the more likely this is to be true. However, under Rhode Island law, a property owner cannot abrogate their liability by claiming a maintenance or management company was responsible for maintaining a property. The responsibility for safe conditions remains entirely the responsibility of the property owner. Rhode Island has a comparative fault statute which states that both parties, the victim and the other party involved in an accident can each be partially responsible for injuries. In premises liability cases, the defendant's attorney may attempt to prove the victim was partially responsible. For example, if you tripped over a piece of frayed carpeting while you were sending a text message, you may be held partially responsible for your injuries. The percentage of the fault assigned to you is dependent upon what the jury finds. Any fault that is assigned to you will reduce your final judgment amount. For example, if you are awarded $100,000 and the jury determines you were 10 percent at fault, your final award will be reduced by $10,000. Anytime someone is involved in an accident resulting in an injury which was the result of negligence, they should contact an attorney who understands personal injury statutes and how the law applies to their case. This is true whether a victim is involved in a car accident, or whether a victim fell on someone's property. All personal injury cases require an attorney who is willing to review the facts of the case and advise their client on potential outcomes, and help them determine the best way to proceed based on the facts.